Winter is for cuddling up in warm clothes by the bonfire. 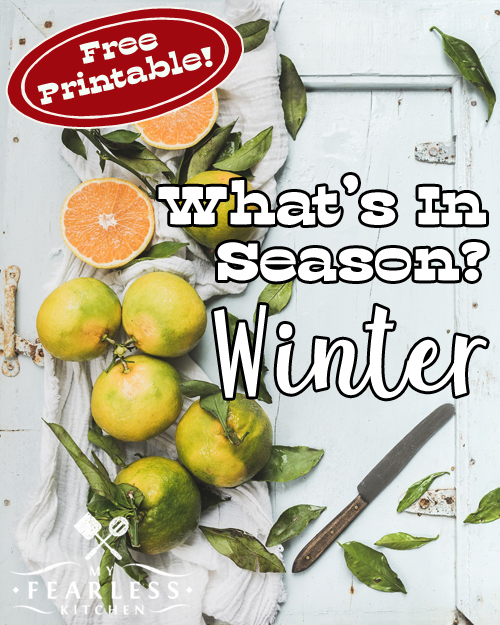 See what winter fruits and vegetables are in season, get the best deals, and try something new! Winter can seem like it will never end. It’s cold and it gets dark so early! Add in the rain/snow/ice and cold wintry winds, and it can make for a dreary season. It also seems like there aren’t many fresh fruits and vegetables in season this time of year. But check out this list – there are tons of fresh fruits and vegetables that are just coming into season now! What Fruits & Vegetables Are In Season in the Winter? OK, so citrus comes to mind as something that’s in season in the winter… but what else could there be? In the United States, December, January, and February are considered the winter months. This is the list of fruits and vegetables that are considered “in season” in the winter. Are you looking for a different season? Find out what fruits and vegetables are in season in the spring, in the summer, in the fall, or all year. What’s your favorite fruit or vegetable to enjoy in the winter?